[Asteroids are] the vermin of the skies. 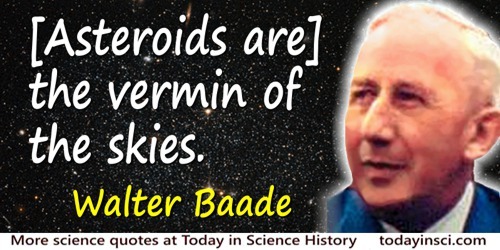 Asteroids used to be an irritation because they distracted from, or obscured, objects of interest on astronomical photographs. The nickname, used as late as the 1970s-1980s, fell out of use as asteroids themselves were closely studied. As quoted in Fred L. Whipple, Earth, Moon, and Planets (1968), 43.